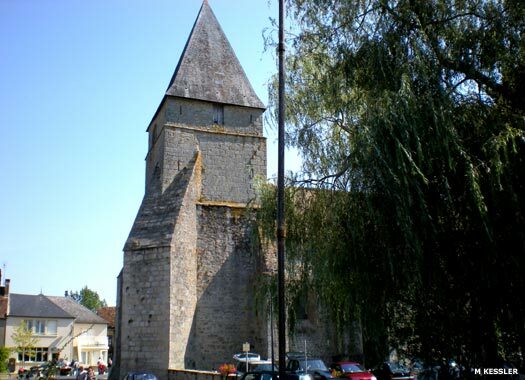 Église de Saint-Pierre (the Church of St Peter) is in the village of Mouhet, part of the Le Blanc arrondissemont of Indre. 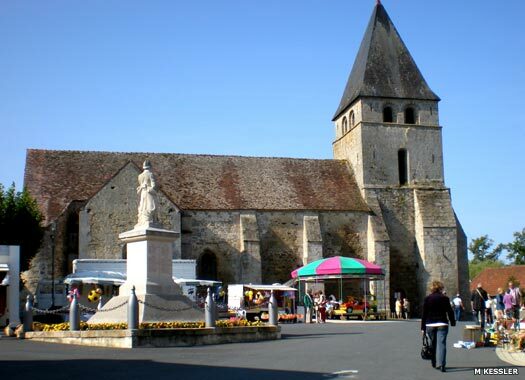 The village is first cited in historical documents in 1170, when it is named as Mohetum, at which time the parish was dependent upon Saint-Benoît-du-Sault. The church contains a fifteenth century stately chapel, and there are two turrets at the base of the choir which are sealed, and what they may contain is unknown, fuelling local legends. The church dates from the thirteenth and fourteenth centuries. It houses the black marble tombstone of the lord of Rhodes. In 1300 the local manor belonged to Rhodes, in the form of Guy Sery, who was probably a member of the Knights Hospitallers who had recently conquered the island from the Byzantine empire. Succeeded by the family of Pot, they maintained their own burial plot here until the early eighteenth century, and the church served as their chapel. 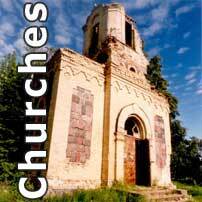 An index of churches in various regions of France, beginning in the city of Paris.